A 3-year post-doc position is available in the research group of Professor Nathalie Stroeymeyt in the Department of Biology, University of Fribourg, to study the role of caste-specific microbiota in the disease defences of ant colonies. The goal of this project will be to study the role of caste-specific microbiota in the disease defences of ant colonies. The candidate will use DNA barcoding, gene expression analysis, physiological assays, microbiota manipulations and behavioural observations to (i) characterise the microbiota of ant workers depending on their caste, and (ii) test whether ants that perform risky tasks (e.g. 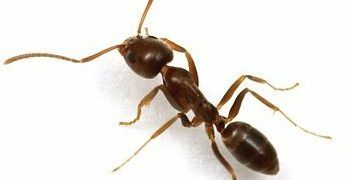 foragers) have a microbiota which decreases their susceptibility to disease compared to ants that perform safe tasks (e.g. nurses), thus reducing the risk of epidemics at the colony-level. The candidate will also be involved in collaborations with other team members to characterise the immune response of ant workers to diverse fungal and bacterial pathogens. The position will be part of an overall project team consisting of two PhD students and two post-doctoral researchers (https://stroeymeyt-lab.ch/open-positions/) and will be fully funded for three years by an ERC Starting Grant. The salary will be set according to the guidelines of the University of Fribourg (c. 75’000 CHF per year).